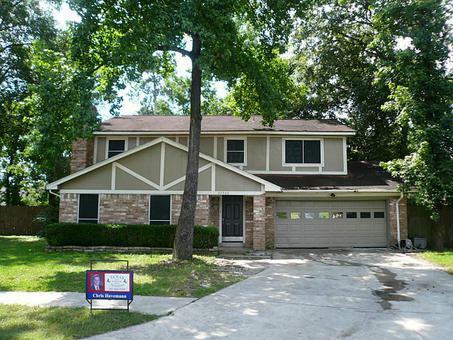 Beautiful well maintained home on cul-de-sac street with quick access to Old Town Spring and new Exxon Campus! Remodeled Kitchen with Silestone Countertops and upgraded Cabinets with Gas Cooktop. Baths Remodeled. Huge Den with wood burning Fireplace. Wood floors in Kitchen and Breakfast. Tile in Entry and Baths. Ceiling Fans & Six panel doors thru-out. Solar Screens on front Windows. Private Hot Tub. Extensive Deck with built in Bench & Table. Storage building! Call now to view before it's sold!